The ISB essays 2017 (for the class entering in 2018 and graduating in 2019) have been released. While the essay topics themselves are not very different from the essay topics for last year (2016-2017 application), there are a number of important changes that ISB has introduced in its application process for this year. 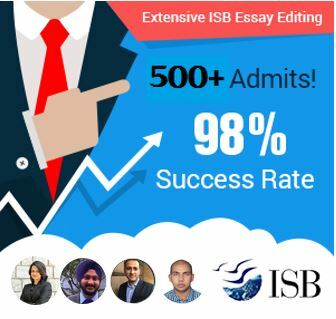 This article focuses on the ISB essay topics for 2017, changes to the ISB PGP application for this year, and suggestions on how to navigate these essays and this application to achieve great results. What is expected in the ISB essays 2017 – 2018? Word limit changes apart, the theme for the ISB essays remains pretty much the same as the one for last year. Without really restricting applicants to a theme chosen by the school, ISB presents an open canvas for applicants to highlight their accomplishments and their fit with the school. – Research the school and understand your own profile. The first essay asks for differentiators, but you cannot really state those unless you first understand what the school is looking for, and what other candidates will bring in. For example, you might have excellent achievements as an IT professional, with knowledge across multiple technologies, but is that something the school will value, and is it something that is rare among applicants? – Do not rush headlong into the essays by simply listing out what you perceive as your major achievements either. You must sift through these to decide which ones are the most relevant. Awards, promotions, and appreciation from bosses matter, but the deeper abilities that led to them matter more. 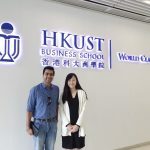 – For the second essay, it is important to introspect, research, and then arrive at a clear statement of your career plans. Do not state a goal just because you believe ISB will like it, even though it is not aligned with your profile. 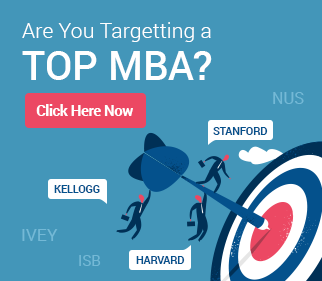 Similarly, do not assume that you have to stick to a traditional choice of goals only (for example, many applicants erroneously assume that achieving the CEO role is the most obvious long-term objective, but it is not). Research the school to demonstrate fit with your objectives post this. – A detailed analysis of these essays is also available here. – Do NOT use sample essays available online/offline or reuse the essays of a previous successful applicant. This approach will not work, and can get you into trouble. Your essays need to be specific to who you are, and the work you have done. Read this article as well. – Seek feedback, but know who to seek it from. Often, friends, well-wishers, and ISB alumni provide feedback and advice on your essays, but is that advice enough? Ensure that whoever you ask for feedback knows you and has the experience and insight to be truly able to give you the right advice. ISB essays 2017 – 2018: what has changed? – This year, ISB has dispensed its optional essay for the first time ever. This essay had existed since the beginning of the ISB application (first batch), but over time, it had become redundant, with applicants using it to restate facts expressed elsewhere in the application. For this reason, ISB has removed it. At the same time, space has been made available in the online application to explain salient gaps in education or work history. The removal of the optional essay, though, means that applicants do not have an avenue to discuss extenuating circumstances in their essays. They must either incorporate the explanation into one of the two essays available (difficult, considering the context of the essays), or make do without the explanation at all. – While the traditional goals essay remains the same, the first essay on differentiation now has an enhanced word limit of 500 words. This means more space to discuss in detail how one’s candidature is unique and impactful. These two essays, in our opinion, form the core of any applicant’s candidature. – ISB’s online application has also undergone a change this year, after more than a decade. Many fields have been simplified, the requirement for uploading documents is now much easier to negotiate, and the option to discuss awards and activities now provides applicants with a choice on how many they would want to list (without necessarily having space for 5, as the application did in years past). These are all welcome, and long overdue, changes.